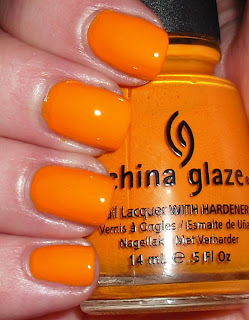 Ever since I first saw the preview for China Glaze Island Escape summer collection, I knew I had to have these colors. When I first saw some swatches for these, I admit I was a little disappointed. I almost considered not getting any of these, but I figured maybe if I got these I'd feel differently. I'm not showing you all of these at once, but I will say photographs do not do some of these polishes justice. These are far better in person. 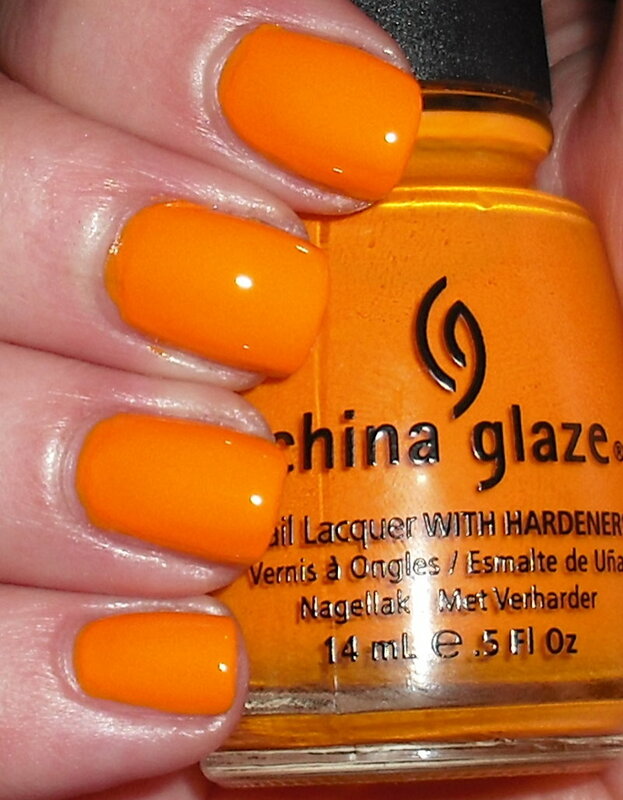 This next color I think kick started a love affair with orange polishes for me. Papaya Punch is a bright orange yellow-creme. I wouldn't say this is neon. It's definitely not as bright as last year's Poolside collection, but this color verges on neon. It is definitely an attention grabbing color. I absolutely love this color. I love it more because it's not a typical color for me, and it makes me want to get more oranges! I've seen this shade swatched on a lot of skin tones, and I haven't seen this look bad on anyone. I know it's stretch to say this is universally flattering, but I'd call it "one size fits most" vs. "one size fits all". I also think if you're not sure about orange, this maybe the color that sway your opinion! Gorgeous color. I want this one so badly. I love this colour, it's the only one from the collection I'm planning on getting :) I know people go crazy for yellow this season, but I'm developing a serious crush on orange, LOL! I am looking for a yellow but not too "out there". This might work. this is so bright and fun for summer - i love it! Delicious looking is a great way to describe it! I definitely have a crush on orange. I think orange is color for this summer! This is more orange than yellow. It does make a statement, it's not a shy color, but it's not as bright as some other polishes I've seen.